Feel free to download our tourist pamphlets for Mino. 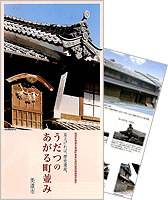 Browse through our materials and find out what makes Mino such an alluring place. This is a pamphlet about Mino. 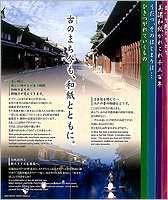 This is a pamphlet about our udatsu-lined old streets. 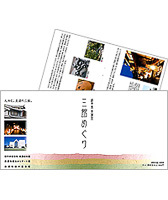 This is a pamphlet about three buildings — the former Imai Residence and Mino Archives, the Mino-Washi “Akari” Art Gallery, and Mino-Washi Museum. This is a pamphlet about Mino in English, Chinese (traditional or simplified characters), and Korean. 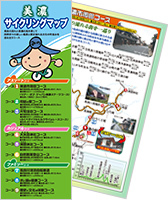 This is a pamphlet about cycling tours around Mino. Adobe Reader (a free program) is required in order to view and print PDF documents. 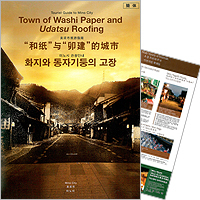 Please download it before viewing PDF documents if you don't already have it.